Digitisation is changing the world faster than ever before. Which way are things going? Are people becoming more empowered to live better than ever, thanks to the array of recent technology at their fingertips? Or are they more at risk of becoming unemployed and poorer, as robots replace their jobs? In their beautiful book The Second Machine Age Erik Brynjolfsson and Andrew McAfee describe a vision where ‘we will realise an immense bounty in the form of dazzling personal technology, advanced infrastructure, and near-boundless access to cultural items that enrich our lives’. The world is transitioning towards a place that feels like a sci-fi adventure, and we can already see this in how much more connected we are. My mum now sends daily memes, motivational messages and important updates over WhatsApp to our family in India. When she first came to the UK as a young bride, contacting family in India cost a lot of money, so she kept it to a minimum. Years passed and a sense of separation grew. This was until communication became digitised, and now our family feels closer than ever. But, there is risk that the immense bounty won’t be shared equally. Rather than all of us benefitting from changes like less work and more connection with people all around the world, digitisation could lead to a lot of people becoming unemployed and seeing their wages fall as robots replace human workers by working faster. The struggle for our generation is to ensure that the immense bounty of digitisation is shared fairly, and people are empowered by technological innovation. In my work at PensionBee, I have an insight into how digitisation is empowering people, most recently due to the Revolut and PensionBee partnership. Revolut is an app and debit card for using money abroad. It gives people a real exchange rate, not one that has been marked up, and does not charge any extra commissions for using money abroad. I first used Revolut last year when I travelled to India to meet my family and connect with my roots. It was refreshing to feel relaxed about accessing my money in rupees, without worrying about wasting my hard earned savings in unfair bank fees and marked up, confusing exchange rates. I bought my teen cousin a book about the freedom struggle in India with the money that I had saved. She appreciated it, as she was facing a dual struggle at that time. She was working her way through exams, as well as finding a way to free herself from the pressures of traditional expectations that being female, she should focus on getting married after she leaves college, rather than building the career that she wants. Now to PensionBee. In a world where people struggle endlessly with pensions, we help people take control of their retirement savings. 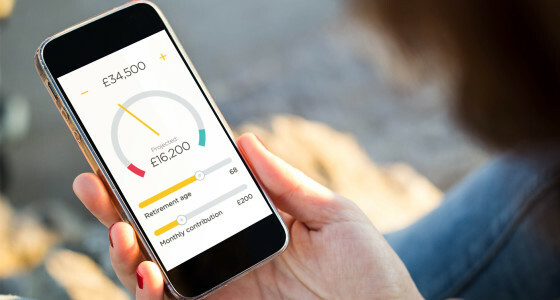 Saving into your pension doesn’t need to be daunting or difficult, and to prove this we’ve built an online platform called your BeeHive which makes it very easy for you to see your balance as it grows with investments. Plus you can contribute into your pot anytime, anywhere, and make the most of the amazing tax benefits. We want you to enjoy building towards that comfortable retirement. Both PensionBee and Revolut are using innovative technology to challenge crumbling, archaic structures of the financial establishment. The mission is to empower people to take control of their finances, and refuse to give that control to banks and pension companies who charge unnecessary fees which eat into your earnings, and have confusing processes in place that make it difficult to understand what is happening with your money and why. I’m excited about this partnership because it means that our customers are part of a wider community who are finding new ways to challenge the financial establishment and take control of their finances and their lives. When I joined PensionBee after working as a teacher who had become disillusioned with the education system, I wanted to work as part of a team that can make a meaningful change to help people. I didn’t think that my journey would lead me to a private company. But what I learned was that companies at the forefront of digital innovation in financial services are in a great position to make a far-reaching change. Everyone uses money and most people feel daunted by their financial situation. The financial industry traditionally benefits from disempowering people. Innovative technology can disrupt this vicious relationship, and through transparency around fees and online platforms that make it very easy to manage your finances, people can feel more empowered than ever before.